China on Wednesday said it had “never acknowledged” the existence of Arunachal Pradesh as it kept mum over a media report that its troops intruded into the Indian side of the border in the frontier state. Chinese foreign ministry spokesman Geng Shuang’s response came after a media report said that Chinese troops intruded into the Indian territory in Arunachal Pradesh for about 200 meters close to a village in upper Siang district. “First of all on the border issue our position is clear and consistent. We never acknowledged the existence of so called Arunachal Pradesh,” Geng told a media briefing. “For the specific situation you mentioned, I am not aware of it,” Geng said. 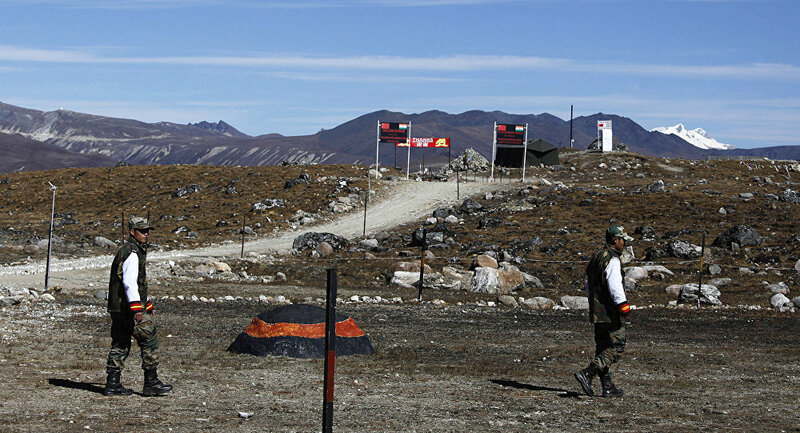 China claims Arunachal Pradesh is part of South Tibet. The India-China border dispute covered 3,488 km along the Line of Actual Control (LAC). According to the report, the Chinese troops who reportedly crossed over with the construction machinery last month were stopped by Indian soldiers. The Chinese troops reportedly left the construction equipment behind. “I want to mention that between China and India there is a well-developed mechanism for border related affairs. Through this mechanism, China and India could manage the border affairs. Maintaining peace and stability at the border suits both China and India,: he said. Asked whether there is another standoff between India and China similar to the one in Dokalam area, Geng said the “standoff which happened last year has been resolved properly”. The Chinese intrusion in Arunachal Pradesh reportedly took place around the same when National Security Advisor Ajit Doval and his Chinese counterpart Yang Jiechi held the 20thround of border talks in New Delhi on December 22, the report said. “Both sides made clear that the two countries will work together for the continuous improvement of China-India ties. The two sides will jointly maintain peace stability of the border areas,” Geng said on the outcome of the latest border talks. The Dokalam standoff began onJune 16after the People’s Liberation Army’s troops began building a road in an area claimed by Bhutan. The Indian troops intervened to stop it, saying it posed a security risk to the Chicken Neck, the narrow corridor connecting India with its northeastern states. The standoff ended onAugust 28following mutual agreement under which China stopped the road building and India withdrew its troops.